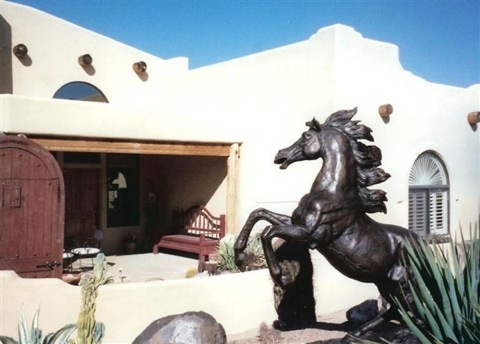 Wisdom Horse Ranch is blessed with a beautiful location in Arizona. 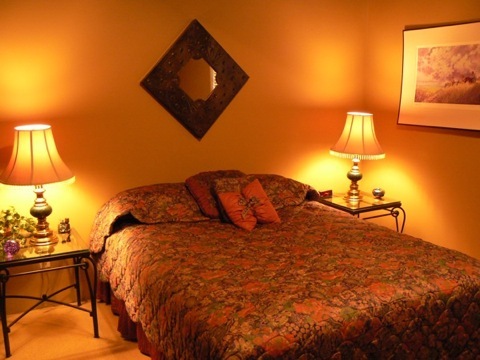 It is available for vacation rental when we are not occupying it ourselves. We are located north of Phoenix, between Cave Creek and New River. Our 3,000 sq. ft. frontier style "ranch house" sits on 2.5 acres and has an incredible view of the Tonto National Forest! It has 5 bedrooms, 3 baths, a large dining room, great room and kitchen area, and a small game room (foos ball, electronic darts and weights - I'm sure the latter are really dusty). It also has a gorgeous negative edge pool with attached spa, and a separate fire pit with circular seating. The master bath features a sauna/steam room. The house, and extensive deck, serve as meeting rooms. On-site accommodations are generally available, see below. As wonderful as the house is, it is the view that will mesmerize you! One "block" beyond the property line is access to the Tonto National Forest, and literally millions of acres in which to hike, bike, and ride horseback. Our elevation is approximately 2000 ft. and the forest is filled predominately with saguaro and prickly pear cacti. The New River and Black Mesa mountain ranges in the distance create an amazing visual boundary! You will simply want to breathe it in! * These bedrooms share one common bath with double sink vanity, tub and shower. Can also share with main bath. 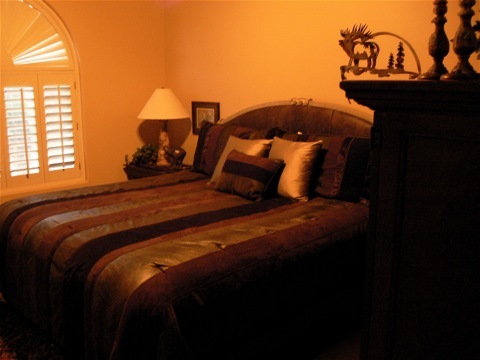 All accommodations include the use of the kitchen, dining and great room, game room, pool, spa, and tax. Other than lunch, meals are not included. A separate refrigerator is available for guest use. In good traffic, we are 50 minutes north of the Phoenix airport. 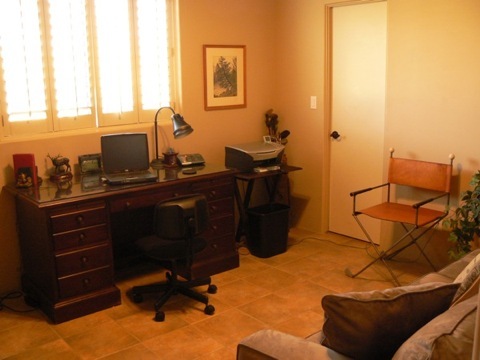 More information is available under the main website heading of Cave Creek Vacation Rental. Please inquire about the possibility of guest horse boarding. Nearest towns are Cave Creek and Anthem, 20-30 minutes away. 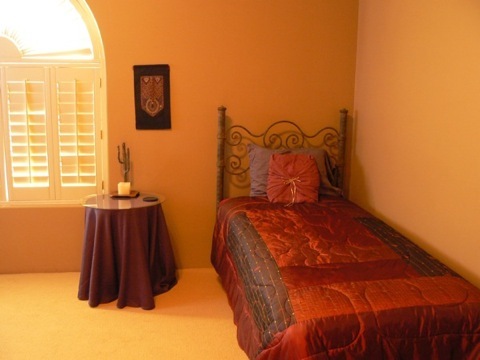 If you are interested in renting this beautiful property as a vacation home, click here. Please pause your mouse cursor over the pictures below to enlarge!